Thanks to the power on Internet, UFC fans can now watch five UFC Fight Night 24 prelim bouts on Facebook for free. Last Thursday, fans started a thread on The Underground forum to petition Dana White to air more preliminary fights from the upcoming UFC Fight Night 24. The promotion previously announced that two bouts will have free live stream on Facebook. It’s pretty obvious that the Internet and social media can really aid the fans to reach Dana White. Good thing, the UFC President listens to the people and takes their heed. 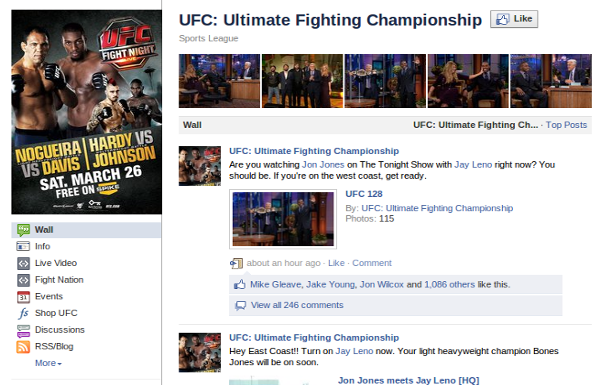 UFC 131 Streaming Live on Facebook.